Bluetooth Wireless Headphones with Magnets to Keep It Together. Magnets design 】 Built-in magnets let you attach the two headphones together when not using, and wear like a necklace around your neck, a convenient way to carry around. 【Bluetooth 4.1】Easy and fast pairing with smartphones, tablets and other Bluetooth enabled music devices; Offer you impressive dynamic sound. 【CVC 6.0 Technology】Noise cancellation 6.0 reduces outside noises, Offer you impressive dynamic sound; enable clearer microphone sound when talking, you get high quality and hands-free phone conversation even on the street or inside shopping mall. 【Quality battery】 Over 40 hours of standby with a single charge. 3.5 hours palying time for charge once. You can monitor the amount of electricity on your phone or other devices. 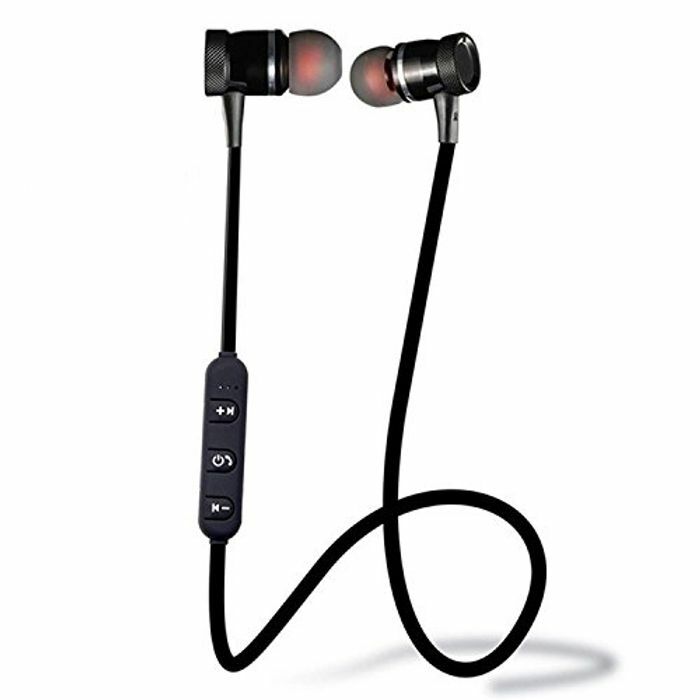 【Get Your Best Fit】 the ear buds are soft and comfortable. Oh do you have this one? Was it fully charged? This says 3.5hours after full charge? GlitchHunter yes, got them a few weeks back from this website, they didn't come fully charged, lasted only a few minutes, charged them and then red light after listening 2 songs. CristinaCucuiet thanks was really tempted to buy these . Your feed back helped me.